On behalf of Chairman Omali Yeshitela and the National Central Committee of the African People's Socialist Party, please be advised that effective November 18, 2018, Gazi Kodzo, has been removed from his position as Secretary General of the African People's Socialist Party, pursuant to a vote by the National Central Committee, per the African People's Socialist Party Constitution. In addition to his removal from the National Central Committee, also effective November 18, 2018, Gazi Kodzo has been expelled. On the following day a meeting was held to discuss the removal of Comrade Kodzo and his expulsion before the entire Party membership as well as leaders of the African People’s Solidarity Committee. The Party moved expeditiously to notify Party members, our Movement and others of Comrade Gazi’s expulsion because he occupied such a strategic post in the African People’s Socialist Party. This made it necessary to clarify that his actions and statements no longer represent the African People’s Socialist Party. The Party has refrained from going into much detail concerning Comrade Kodzo’s removal and expulsion, partially because our notification was not done to satisfy the curiosity of anyone about the affairs of the Party. Furthermore it is our intent to avoid any subjective exchanges. The removal of Comrade Gazi Kodzo from his post and membership was a political decision based on political contradictions and should not be interpreted as a declaration that Gazi Kodzo is an enemy of our Party. We are a revolutionary Party guided by a revolutionary theory and organizational principles, the main one being Democratic Centralism. 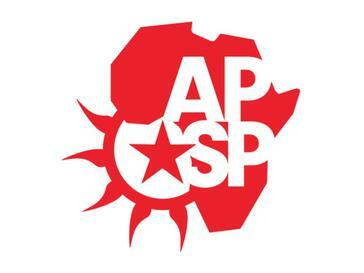 The directive notifying Gazi Kodzo of the decision made by a unanimous vote of the Party’s Central Committee laid out the basis of his removal from the post of APSP Secretary General and expulsion from the African People’s Socialist Party. Please be advised that effective November 18, 2018, you have been removed from your position as Secretary General of the African People’s Socialist Party pursuant to a unanimous vote by the National Central Committee of the African People’s Socialist Party. 4.1.13 ​ Members of the Party may be disciplined​ ​for conduct or actions detrimental to the Party. Discipline may include public or written self-criticism, expulsion, public censure, or suspension from Party work or removal from positions of authority. 4.1.14​ Reasons for disciplinary action shall include but are not limited to violations of the rules of Party discipline, violation of the Party Constitution, theft of Party or movement resources, falsification of information written or verbal on application or other Party documents, exhibiting disunity with the program and policies of the Party, non-authorized abandonment of post or position​ ​or any actions that serve to discredit the Party or its programs in the eyes of the African masses or our allies. 6.5 ​ Officers of the NCC may be removed from office for cause. Removal from office may be executed for gross misconduct, theft or misuse of Party resources, violations of the Party Constitution, exhibiting disunity with the Party program or policies, persistent failure to perform the duties and responsibilities of office or position or any other actions that serve to discredit or undermine the Party or its programs. Officers of the NCC may also be removed in the event they become incapacitated for health reasons and unable to perform the duties of their office. An officer may be removed by a two-thirds vote of the sitting NCC. The NCC may initiate an investigation before a removal vote is taken. You are required to return any training manuals, name tags, email contact lists, phone contact lists, keys, bank account info, and/or any other materials pertaining to your position as Secretary General of the African People’s Socialist Party or the Party in general to the Office of Chairman Omali Yeshitela not later than, Friday, November 23, 2018.
a. ​A written request for reconsideration must be sent to the next highest level of the Party organization or committee and copied to the appellant’s organization​ ​if​ ​the member works inside a constitutionally approved Party Organization. b. ​A majority of 75 percent of the leadership body of the organization or committee considering the appeal must accept the reconsideration issue before it can be implemented. c. ​Issues of policy, procedure and discipline of members can be reconsidered, whereas constitutional provision shall not be reconsidered except during the designated pre-Congress discussion period. Approval of constitutional language can only be executed at the National Party Congress. d. All appeals of decisions made to the next leading committee shall be heard by the respective body within 90 days or at the next regularly scheduled meeting of the committee, whichever occurs first. e.​ Appeals may be made to successive leading committees up to and including the APSP-USA Congress. Decisions of the APSP-USA Congress are final. f.​ While the appeal is pending, the decision that is being appealed must be carried out by all members of the APSP-USA. g. ​ No member of the APSP-USA has the right to violate the process of appealing APSP-USA decisions. h.​ No member has the right to secretly meet with others to circumvent the processes set forth by the APSP-USA. This is factionalism, which is not permissible within the Party. 6.1.2​ The National Party Congress shall be the highest decision making body of the APSP-USA. 6.1.3​ The National Party Congress shall elect members of the National Central Committee (NCC) with the exception of those covered in Sections 6.2.3.7 through 6.2.3.10 and 6.2.3.13. 6.1.4​ The National Party Congress shall receive and engage reports from national office bearers. 6.1.5​ The National Party Congress shall be the final body of appeal on any decisions of policy, constitutional amendments, or discipline of members within the U.S. The Party recognizes that there are some who will be confused by this turn of events with Gazi Kodzo barely a month following our incredibly historic 7th Congress. "The Office of the Secretary General is being enthusiastically assumed by Comrade Gazi. He had already added an element of professionalism to the National Office of Recruitment and Membership (NORM) before its inclusion into the office of the Secretary General. We expect Comrade Gazi to successfully build the Office. His fundamental stumbling block at the moment is petty bourgeois subjectivism, and because of the scope of this office in the Party, unchecked subjectivism can destroy the progress we make in every area of work." The Central Committee, membership and all the Party constituent organizations remain united with the determinations, resolutions and decisions of our 7th Congress and are determined to live up to the declaration that the African People’s Socialist Party is, indeed, the Vanguard, the Advanced Detachment of the African Revolution!